A little planning can mean the difference between an average vacation and an epic one! Wander wisely in Spitsbergen by learning a few basics about it before you dash off. Situated in Svalbard, this town is close to a few interesting areas like Longyearbyen, which is 20 miles (32 kilometers) away. With Travelocity, it's never been easier to plan a getaway to Spitsbergen and save. All you need to do is organize an accommodation and airfare package. And best of all, with more than 400 partner airlines and 665,000 places to stay, it won't be hard to find exactly what you want. Would you like a panic-free vacation experience? Our Customer 1st Guarantee means that you'll have 24/7 personal assistance on all our services. Have you noticed a better deal? We'll meet the price and refund the difference^. If required, you can alter any of your getaway plans with no hidden charges on our end. You know what that means, right? Less for you to worry about. And as long as you get in quick, most accommodations won't charge you either^. Don't let the limited number of accommodations prevent you from visiting Spitsbergen. With Longyearbyen being only 20 miles (32 kilometers) away and some fantastic options at your finger tips, you'll still be able to see all that this place has to offer! 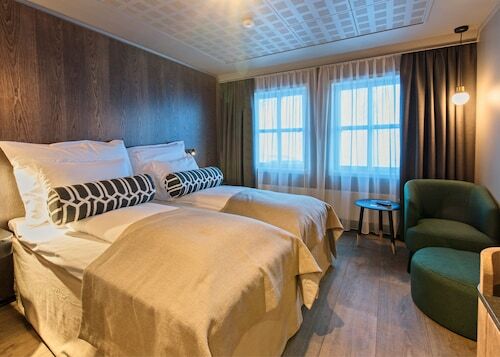 Browse the Radisson Blu Polar Hotel Spitsbergen, Svalbard Hotell & Lodge, Funken Lodge, Coal Miners Cabins, Gjestehuset 102 - Hostel and Mary-Ann's Polarrigg on Travelocity today. Where do you fly into for Spitsbergen? Prepare for some wonderful adventures in Spitsbergen. Once you've left Svalbard Airport (LYR), the center of town will be 19 miles (31 kilometers) to the north. Can I rent a car in Spitsbergen? Going off the beaten path is a great way to experience the local culture. So, how about doing it from the driver's seat? Organize a rental vehicle via Travelocity and get ready to blast your favorite tunes in Spitsbergen. Unfortunately, there aren't any car rental firms near Svalbard Airport. You'll need to catch a cab or investigate public transport if you want travel the 19 miles (31 kilometers) into the city. You can read through your guidebooks over and over again. But when it comes to finding things to see and do, nothing else is like heading out into the streets with a lust for adventure. Trust us, you'll find plenty to do in Spitsbergen! If you're looking for things to do in the wider region, there is certainly no shortage! Longyearbyen, just 20 miles (32 kilometers) away, is home to some fantastic options which are bound to keep your busy. The Svalbard Museum and Svalbard Church are some of the best tourist attractions here. But Svalbard Kirke is well worth your time too. 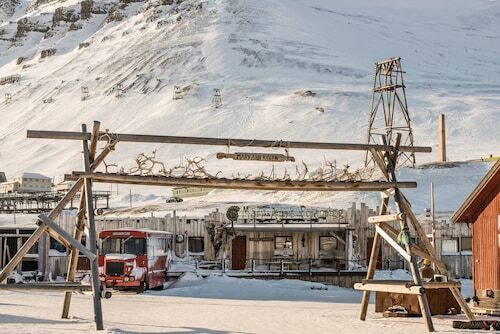 Located in the heart of Longyearbyen, this hotel is within a 10-minute walk of University Centre in Svalbard and Spitsbergen Airship Museum. Svalbard Church and Svalbard Kirke are also within 1 mi (2 km). 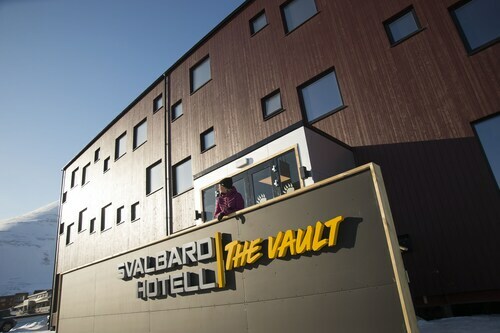 Situated near the airport, this hotel is within 2 mi (3 km) of Svalbard Museum, Svalbard Church, and Svalbard Kirke. University Centre in Svalbard and Spitsbergen Airship Museum are also within 3 mi (5 km). 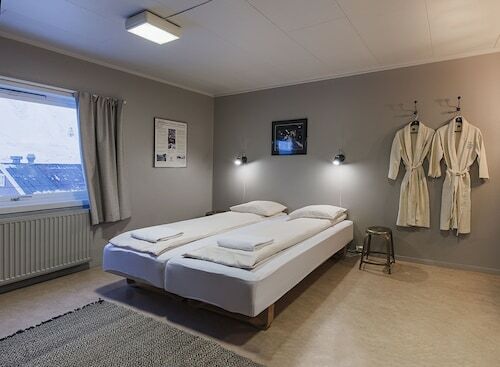 Located in the heart of Longyearbyen, this hotel is within a 15-minute walk of University Centre in Svalbard, Svalbard Kirke, and Svalbard Church. Svalbard Museum and Spitsbergen Airship Museum are also within 1 mi (2 km). Located in the heart of Longyearbyen, this hotel is within a 15-minute walk of Svalbard Museum, Svalbard Church, and Svalbard Kirke. University Centre in Svalbard and Spitsbergen Airship Museum are also within 1 mi (2 km). 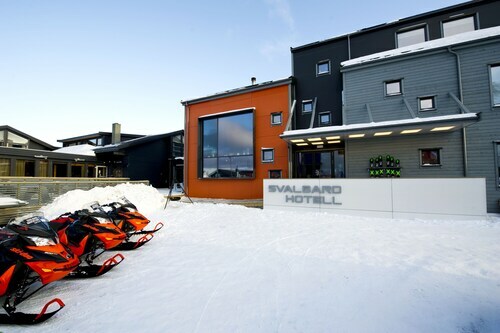 Situated near the airport, this hotel is within 1 mi (2 km) of Svalbard Museum, Svalbard Church, and Svalbard Kirke. University Centre in Svalbard and Spitsbergen Airship Museum are also within 1 mi (2 km). 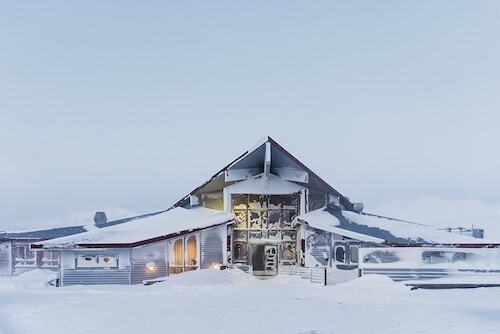 Situated in Longyearbyen, this spa hotel is within a 10-minute walk of University Centre in Svalbard and Spitsbergen Airship Museum. Svalbard Church and Svalbard Kirke are also within 1 mi (2 km). Situated in Longyearbyen, this hostel is within 2 mi (3 km) of Svalbard Museum, Svalbard Church, and Svalbard Kirke. University Centre in Svalbard and Spitsbergen Airship Museum are also within 3 mi (5 km). Situated in Longyearbyen, this hostel is within 2 mi (3 km) of Svalbard Museum, Svalbard Church, and Svalbard Kirke. University Centre in Svalbard and Spitsbergen Airship Museum are also within 2 mi (3 km).